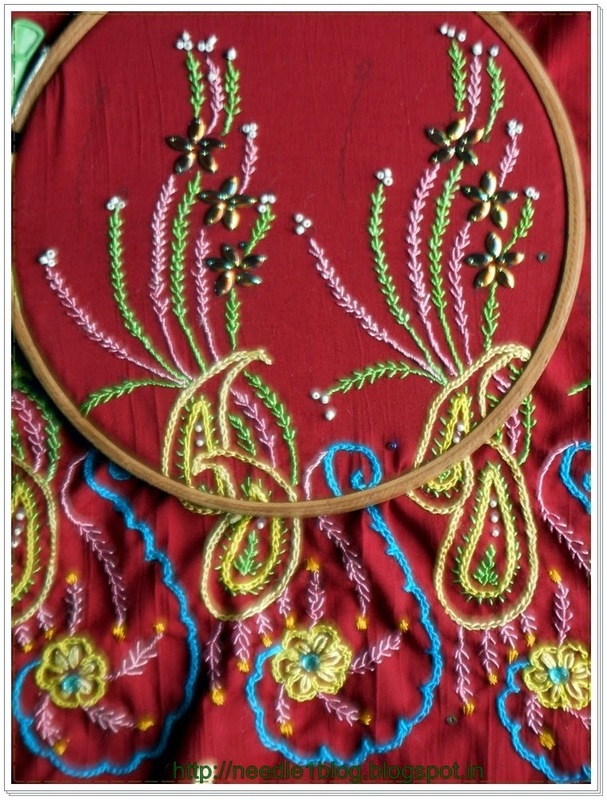 Creativity: Embroidered kurta work in progress. Embroidered kurta work in progress. 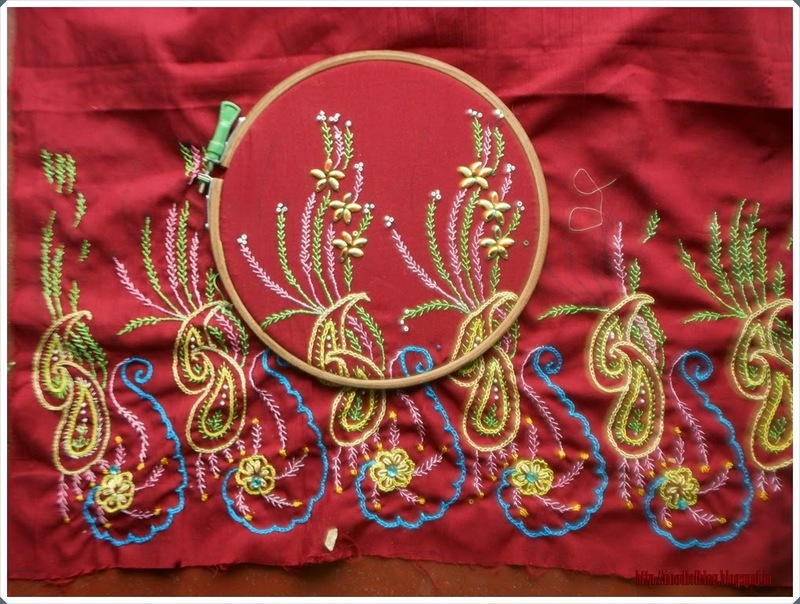 I was embroidering this design on fabric out of which i am going to make a kurta for my daughter.This embroidery consists of reverse chain, fly , lazy daisy ,bullion knot and bullion rose stitches and i also embellished it with kundans and beads to enhance the design . I am feeling too lazy to complete this one early but i have completed border. The neck line embroidery is in progress. 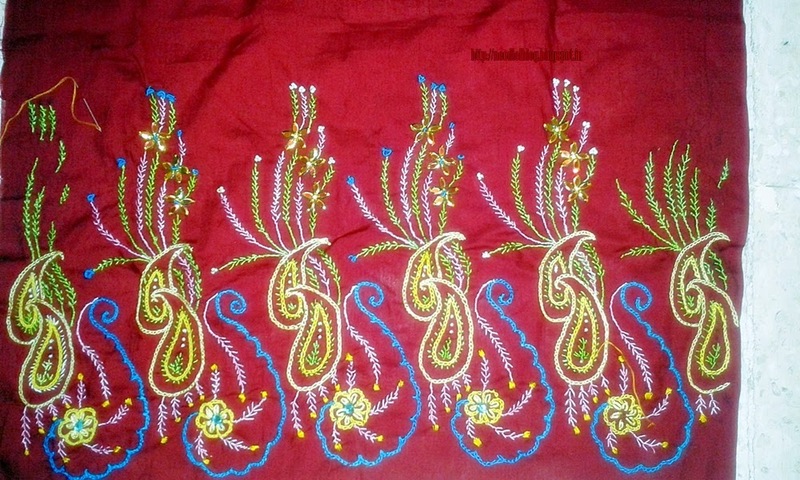 After completing the work, i will be stitching the kurta. Until then goodbye . see you again.